The High Precision Event Timer (HPET) is a hardware timer that has been developed by Intel and Microsoft. HPET has been used in PC chipsets for nearly a decade at the time of writing. Different timers may be used depending on which operating system you have installed on your PC; tweaking the timers may improve the overall performance of your PC as a result. This is mostly useful for gaming related activities and other real-time activities that tax the system a lot. The first thing that you need to find out is if HPET is supported by a computer system. You need to go into the BIOS or UEFI setup during boot to find out. Since there are that many different versions out there it is hard to say where you will find the setting on your system. I found the setting under Advanced Mode > Advanced > PCH Configuration > High Precision Timer. Enabling or disabling the timer in BIOS is only one part of the change that you have to make though. Windows may use different timers as said earlier even if the HPET timer is enabled in the BIOS. You need to run the following commands on the command line in Windows to enable or disable the exclusive use of the HPET timer. DPC Latency Checker is the second program that tests how the computer handles real-time data streams. I suggest you run both programs before you make any change to your system, and then again after you have made changes. Not everyone is noticing improvements after enabling HPET in both the BIOS / UEFI and the Windows operating system. Some notice slow downs and others that micro-stutters go away after disabling the timer on their system. So, it is definitely a good idea to test all possible settings to see if one makes a difference for you if you noticed issues in first hand or improve the performance of the system. Note that updating drivers and Windows itself may improve the use of the timers as well. Find out how to detect timer settings on a Windows PC, to change them to improve performance, and to measure the performance using benchmarks. So why are the cmd commands exactly the same? Martin, you missed the point. Look at the total command lines you posted. They are identical. Both say delete. Does this work on AMD systems? Yes it works on AMD systems as well. +1 for the AMD query. Is this an intel only exercise? What sort of improvement could you expect to get? Is it noticeable or simply notional much of the time? I understand that this will vary widely based on hardware, but I’d be interested in hearing the results from other users and if it tends to make a significant difference. John, that is understandable. Some users reported more fps and better response times in games, while others claimed that turning it off removed micro-stutters in games. You can’t really break anything by enabling or disabling the setting, as you can always go back to the default setting in the end. If you are experiencing issues while playing games or doing real-time activities, then it may make sense to try the tweak. If everything is golden and all you can hope for are a couple fps more (which you may not even notice) then it is not really something that I would start to test as the gain is not worth it. I use my PC as DAW, (Digital Audio Workstation) running Ableton Live 9 and other audio production software so I am hoping this technique will avail some extra power. As soon as I have tried I will post a response. *Note This option should only be used for debugging. How can it improve perf. if it enables debugging ? What was the first program? Says download not found. When I try to disable it through cmd, I get the message, “An error occurred while attempting to delete the specified data element. Element not found.” Can someone please help? That means you already have it disabled by default. I had the same message when going through the Ryzen tweaks and asked the question myself. 2990wx and zenith extreme board, any ideas? or is that normal for 2990wx? yes it’s normal, you use windows 10 1809 ? 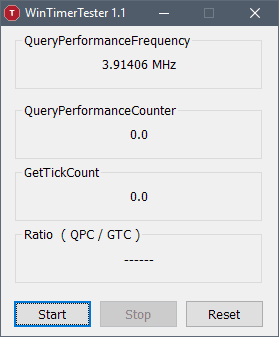 then microsoft change the timer there, it should be always 10 mhz when not using HPET .